The term, ‘vague’ is rooted in the Latin ‘vagus’, which means wandering, rambling, or strolling. A person who is always wandering from place to place is considered as being uncertain as to what he wants. 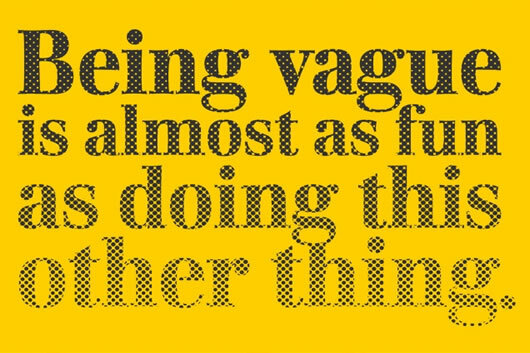 Hence, the term ‘vague’ took on the meaning of being unclear or uncertain. Something or someone is considered as being vague if he or it is considered as lacking in clarity. If you cannot describe something clearly so that they other person can understand it then the description is considered as ‘vague’. Vagueness is inevitable and cannot be avoided. Some people, especially authors like being specifically vague. However, at times vagueness can be considered as distracting when a clear and precise definition is required or wanted.